We take our mixology pretty seriously, and summer cocktails are certainly no exception. August is the perfect time to gather friends and family for a night under the stars and indulge in these summer classics. Here are some tasty cocktail trends and “recipes” across North America that are worth traveling to! Located in the stunning Hotel De Anza is one of Silicon Valley’s most gorgeous lounges, The Hedley Club. Their Michoacan cocktail is a delightful blend of fresh ingredients. 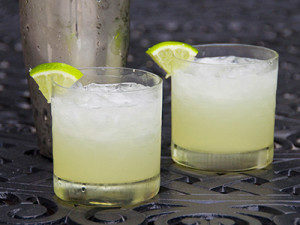 Similar to a Margarita, yet with an earthy flavor, we love how this cocktail combines the distinct flavors of cumin and jalapeño that blend so beautifully with the fresh lime and tequila. Inside: Mi Casa Blanco tequila, fresh lime, house-made cilantro/lime/jalapeño/cumin simple syrup shaken and served on the rocks. 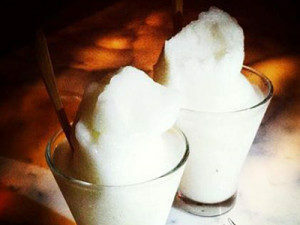 Miami knows how to heat things up and we love cooling off with the Liquid Nitrogen Caipirinha which we found at The Bazaar by Jose Andres located in the SLS Hotel in South Beach. Inside: This refreshing and boozy slush is made tableside and is an exotic blend of cachaca, lime, and mint that is flash frozen in a wildly entertaining show. Made from fermented sugarcane juice, cachaca is liqour most commonly found in Brazil and is ideal for this adult version of a slushy. Ay que caliente! The Felicity Watermelon Smith at Smith Commons in Washington, D.C.
Bartender Kenny Matthews, from Smith Commons, in Washington D.C. gets our vote with his über refreshing libation that is both sweet and tangy. Nothing feels more like summer more than fresh, juicy watermelon and this drink will quench your thirst. 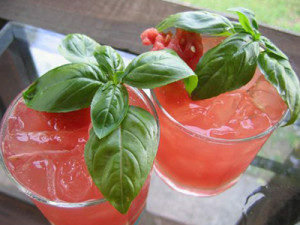 Basil and watermelon blend beautifully in this drink and it is perfect for a summertime fiesta. Cheers! Inside: Muddled watermelon and basil leaves soaked in ginger syrup and fresh lime juice and mixed with Ambhar Tequila Reposado.